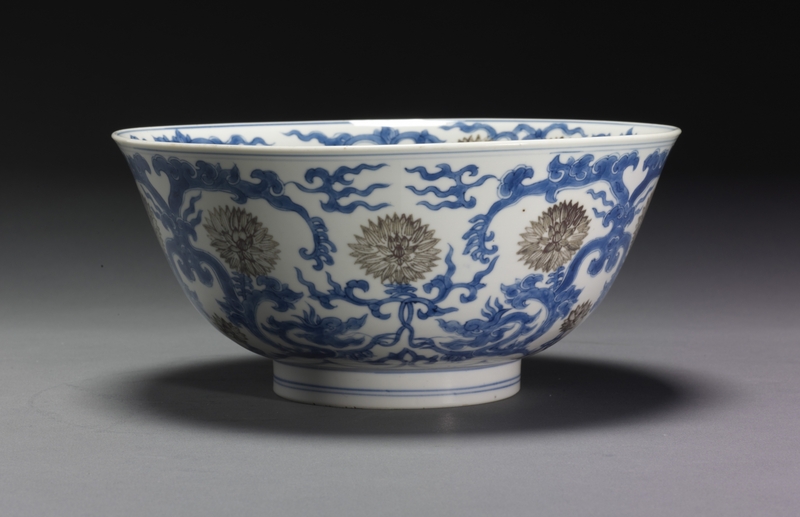 A large flaring bowl with a design of blue and white dragons and underglaze red lotuses. It is very unusual to find a bowl with the combination of underglaze blue and red. Only very few are illustrated in reference books. The earliest blue-and-white ware found to date are temple vases inscribed 1351. These display a competence which indicate that the underglaze-painting technique was well-established by that time, probably originating in the second quarter of the fourteenth century. Cobalt blue was imported from Iran, probably in cake form. 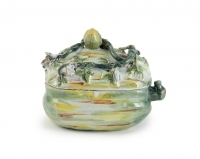 It was ground into a pigment, which was painted directly onto the leather-hard porcelain body. The piece was then glazed and fired. 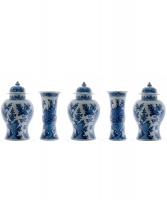 'Blue-and-white' porcelain was used in temples and occasionally in burials within China, but most of the products of the Yuan dynasty (1279-1368) appear to have been exported. The colour on early underglaze red wares is often grey, as firing affected the copper pigment. 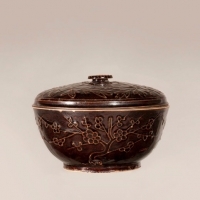 In the late fourteenth century, however, it seems that more underglaze red than blue was produced, since the first emperor of the Ming dynasty, Hongwu (reigned 1368-98), banned foreign trade, and cobalt was very difficult to obtain. Later domestic sources of cobalt were discovered.